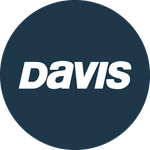 Davis Instruments Support, FAQs and Troubleshooting - Do you offer repair services? All Categories ​>​ FAQ ​>​ General ​>​ Do you offer repair services? Yes. Please contact us before sending items in for repair. We may be able to solve your problem over the phone or send replacement parts. Learn more here.